I have no idea how to review this. So many things jump out at me to write down, and then when I physically sit to do so, those thoughts go right out of my head! Kim Vogel Sawyer is one of my top favorite historical authors and she brings whatever time period she’s writing to life and fleshes out characters so real you could touch them. At the end of each novel, I feel like I’ve made new friends and celebrated each high and low with them. I cared deeply about Laurel and her extended family, Willie and his Pa Otto, and Quincy. Laurel has dreams of becoming someone’s wife and doting on children she could provide the right man, also giving her Mama grandchildren to adore. She’s young and naïve and has been given an unfair missive by her older siblings. Willie is a hard working man taking care of his Pa after he’s struck with a physical ailment that renders him helpless. Taking the security job at the Expo guarantees he can afford the help for his Pa in a convalescence hospital. Quincy was a character that really stood out to me. He faced so much prejudice being a black man and society looking down on him. Treated with indifference and tolerated nowhere, my heart hurt for all he went through. Langdon was a character I didn’t like one bit, he was our “villain” if you will. Rich, spoiled, privileged and looks down on those beneath him in social status. I think every good story needs one of these, and at the end, even he has some redeeming qualities! In a time of social unrest and unbalance, four lives mesh and mold a story that had me thoroughly hooked! Hot topic areas are covered such as racism, bigotry, social status chasms (rich vs. poor), and slavery. I appreciated Sawyer's gentle handling of each topic without losing how real they affected each character in times past. 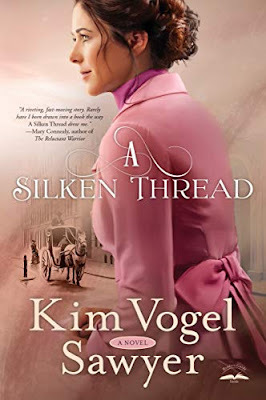 I also loved learning about silk production and weaving, a fascinating topic I’d love to delve more into. Oh, and the authors descriptions of the Expo definitely made me wish I could have jumped into the pages and explore for myself. A thoroughly engaging historical that brings to light the struggles of humanity and a gentle love story to stir the heart. 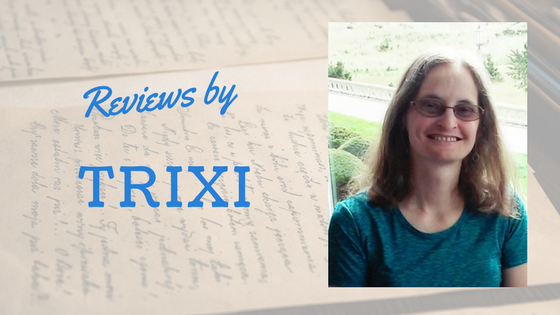 Thanks for your review, Trixi! Very nice. I just realized how much I like this cover too.